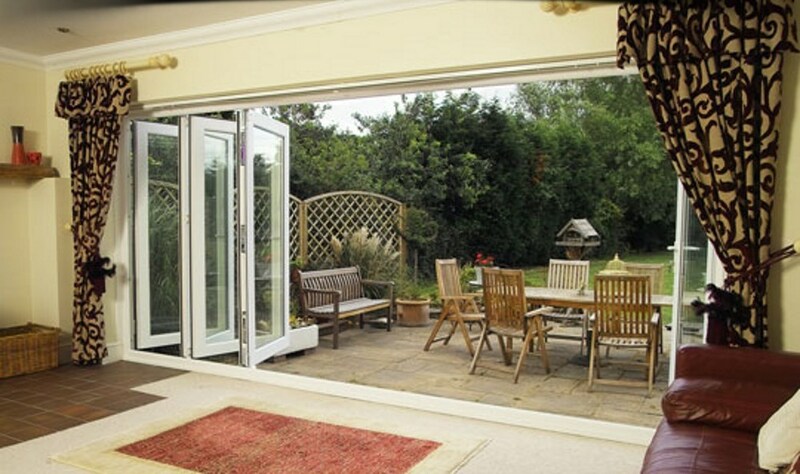 Our Aluminium bi-folding doors add a new dimension to any room, sliding smoothly aside to allow the outdoors in. 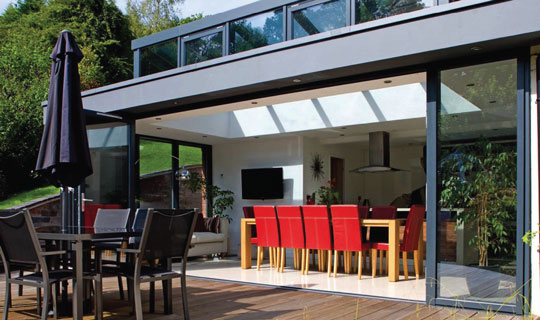 Whether you are looking to extend a dining area onto a patio, or keep a conservatory cool in summer, trust us to make it happen. You can choose to have one or two doors swinging open like traditional French doors, then slide the set to one side or the other. 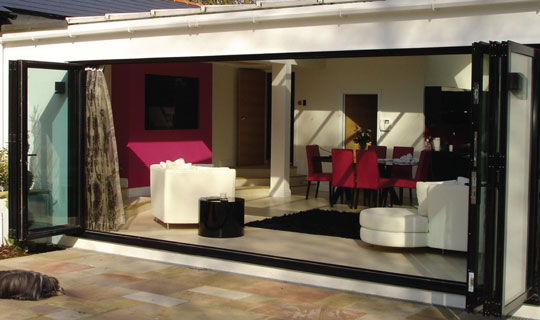 A two-pane arrangement can even help you to maximise the space between a conservatory and the house, by sliding unobtrusively to one side, giving a full clear opening. The choice is flexible to meet every individual requirement. We are committed to continuous product development, which has earned us a full complement of quality accreditations. Aluminium truly is the material of the moment. It is strong, light, stable and it will not rust, warp or rot. From an environmental point of view, it has a lot to commend it. It can be recycled over and over again, with no degradation or loss of physical properties. It’s hard to believe but from an environmental point of view 75% of all aluminium produced since the 1880’s is still in use! It’s a true sustainable metal as 70% to 98% of aluminium used in today’s buildings will eventually be recycled! The fundamental properties of aluminium do not change after recycling – a unique property compared to other materials. Helping save energy, resources and contribute to a Greener planet. 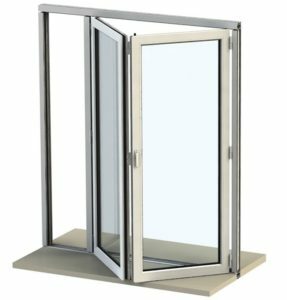 Aluminium is a very low maintenance alternative, it is as sustainable as any other metal and with todays thermal dynamics it now compares to its UPVc alternative. • Cut out the middleman, buy direct from the manufacturer! 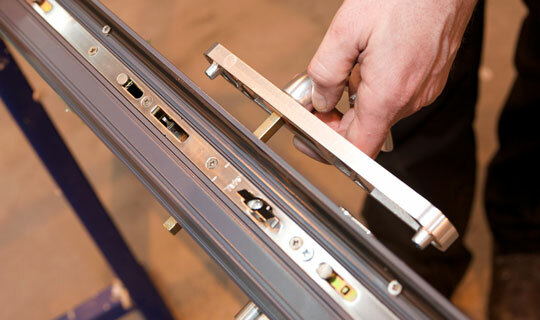 • We design, manufacture and install your doors. • A security specification that is second to none! All our products come with a comprehensive 10 year guarantee leaving you with complete peace of mind. If you would like us to give you a call please click here. 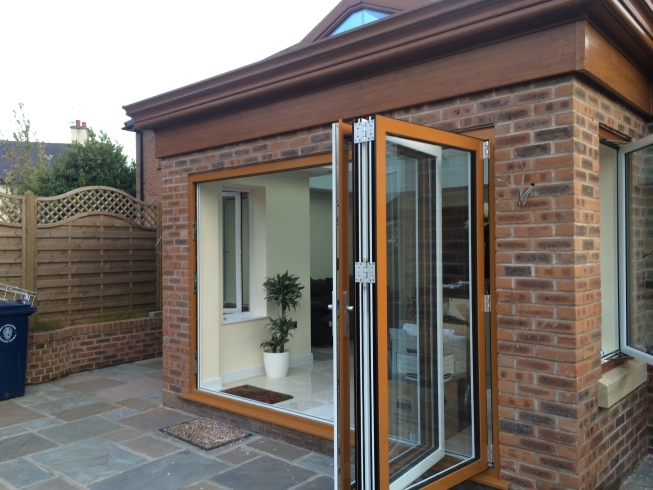 “We have had a fantastic experience with Best Bi-Folding Doors, from the initial contact through to the completion of the job, nothing was too much trouble, would recommend them to anyone. 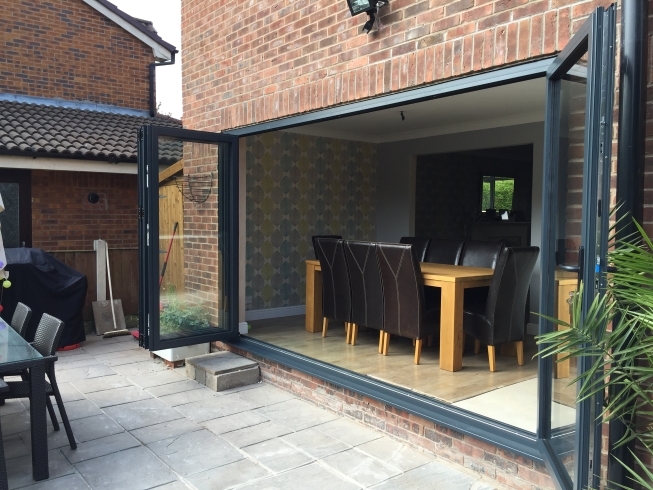 “So Happy with our new bi-fold doors, they really open up the room into the garden and make a massive difference"
© 2015 All rights reserved Best Bi-Folding Doors.